Many of the most iconic brands around the world seemingly have little in common, especially if they’re operating in vastly different industries. However, under the surface there is one thing that links them – their understanding of what’s in a name. 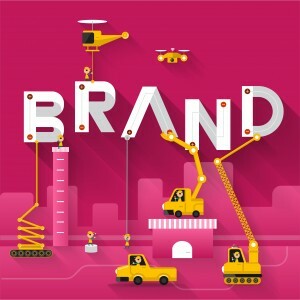 In this article, we’ll look at a few of the things that startups should do when coming up with names for their personal brands, in addition to discussing a few things to avoid. So if you’re considering a new business venture in 2015, read on. It’s pretty much guaranteed the first name you come up with will not be the perfect choice, and neither will the second or third. Understand that there are several steps involved when brainstorming names and that this isn’t even the initial step. In fact, the research you’re about to undertake is a time-intensive but money-saving endeavour. Fortunately, there is a systematic approach you can take where the goal is to figure out the nature of your startup and how it fits into your chosen marketplace. What entrepreneurs need to understand about creating the perfect brand name is that it isn’t so much about the words. It’s about what kind of images they conjure up in the minds of potential customers. Suggestive: Consider the online marketplace Amazon. When Jeff Bezos decided to call it this, he knew the word was synonymous with enormous, which is exactly what the retailer has come to embody. Meaningful: Your brand’s name must resonate with your intended audience the instant they encounter it. This establishes a connection and helps to foster a positive user experience. Imagery: Brand names rarely appear in plain font and are increasingly incorporated into company logos. It’s often much easier for customers to recall a visual, but acronyms are also effective. Legs: Words that lend themselves to wordplay create potential verbal branding opportunities. This can be emphasized through the use of alliteration and/or word association. Emotional: People need to feel invested in your brand before they will convert. Using words that evoke specific feelings can go a long way to encourage customers to complete the buying decision process. Keep in mind that your personal brand needn’t include words that incorporate all of these things; in fact, it’s probably better if it doesn’t. Create something that is catchy and conveys something you can leverage in your future marketing and personal branding initiatives. Doing something like this is a well-tested option and has served many businesses in the past. As an example of this, consider the company CJ Pony Parts which deals with Mustang parts and whose name affectionately references the iconic class of automobile. Those within its target demographic immediately recognize the fact that the company knows its clientele. Approximately 543,000 new businesses are started up each month across the U.S., according to a recent Forbes article. That’s a lot of names and statistically speaking, the majority of them will not become successful brands. This is not to say that their success or failure is intrinsically linked to the names they’ve chosen to create their personal brands around. Rather it’s about the fact that the online marketplace is highly competitive and oversaturated. This is one of the reasons why doing your research at the early stages – before you’ve even chosen the name – becomes incredibly important. Doing so will help you to avoid making mistakes that many others have fallen victim to and will help your business survive until its second birthday. You’ve Narrowed Down Your Shortlist, Now What? Following on from this, ensure your brand name is SEO friendly if you’re committed to conducting business solely online for the foreseeable future. This is how most people will learn of your business. There’s nothing worse than believing you’ve come up with the perfect name only to find out that some obscure niche business tucked away in the fourth page of a Google search is already using it. In fact, one of the easiest and quickest ways to check this is to search a registrar’s database like GoDaddy.com for available names. You can even generate a new few ideas of your own and may take a new direction after retrieving a few results. At the end of the ideation process you should have around five choices left. If you’re still struggling to choose one, revisit your initial criteria and critique each one individually. This can help determine which best suits your vision. Whatever your decision is, if you’ve done the research and can justify your reasoning to yourself and others, chances are you’re onto a winner and are well on your way to setting up a successful personal brand. Hopefully you’ll have come away with a few more ideas in addition to clear insight into the process behind finding the perfect name and will continue to operate far into the future.